As I was pulling into this parking lot, I saw a guy getting out of his i8. 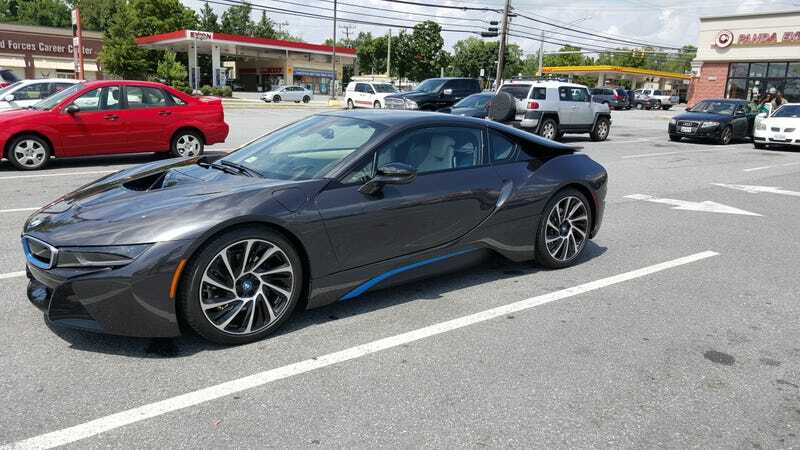 I think it looks badass in Sophisto Grey Metallic with the Frozen Blue accents, and another guy that circled around the i8 in an N-body Malibu agreed. There was also a red Camaro across the street that I thought was a Z/28, but was actually an SS.